The NEW CURV Beds are Here! I posted on the new CURV by Simmons beds a few weeks ago, and we’ve finally gotten them listed on the website! You should really check them out, the product is great, and the price is even better. They aren’t price regulated. What does that mean to you? That we have the lowest prices, guaranteed. We shop everyone else, and make sure that we’re the cheapest. The two better models have gel memory foam. What? A cool night’s sleep for under $1000? It’s possible. All models come with a ten year warranty. All models work great on adjustable bases. All models are designed and built in the USA. All models are CertiPUR-US certified, meaning that they passed the non-toxic tests, and you can breathe easily. They’re marketed towards the “Millenial” generation, but they’re great for anyone to sleep on every night, for guest rooms, for kids, for RVs, for anything! The queen set prices range from $643 to $888 on our site. INCLUDING DELIVERY. You seriously can’t beat that with a stick. All of the models are on the firmer side, with the middle one (the Swanky) being the softest of the three, but still quitre firm. The three models have 1.5″, 2.5″, and 3.5″ of memory foam, respectively. If you’re in the market for cheap memory foam, then the CURV beds are a great option. They are the ONLY ones in this price range that are made in the US, most others are manufactured in China. They are one of the only product lines that has gel memory foam at this price point. The amount of memory foam in each bed is pretty generous, and the patented form of the memory foam increases air flow and comfort. Amazing Style (aka The Latest Thing in stores) – This mattress is firm, has 1.5″ of memory foam (without gel), and is 8″ thick. We have it listed at $643 for the queen set. Swanky (aka All The Rage in stores) – This mattress has a plush firm feel, with 2.5″ of gel memory foam. It’s 9″ thick. We have it listed at $697 for the queen set. So Chic (aka Vogue in stores) – This mattress has a firm feel, with 3.5″ of memory foam, some with gel. It’s 10.5″ thick, and we have it listed at $888 for the queen set. So, check it out, tell your friends, and sleep better for less! I’ve been getting a lot of questions lately about the differences between iComfort by Serta and Comforpedic by Beautyrest. Sure, both are gel memory foam beds, but what are the real differences? iComfort calls their foam “Cool Action Gel Memory Foam”, which is memory foam infused with Serta’s Micro Support Gel. 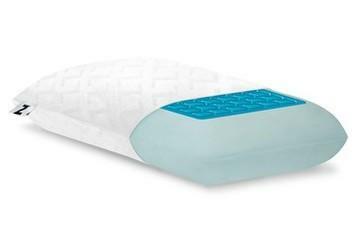 Comforpedic calls their foam “AirCool Memory foam with TruTemp Gel”, which is memory foam infused with TruTemp Gel. I couldn’t find any info on either company’s proprietary formula, meaning that I can’t compare the amount of gel that’s actually in the foam. So, we’ll call this one a draw. Like all memory foam, both of these manufacturer’s beds offer exceptional pressure relief. Memory foam, by design, evens out the pressure and holds the body in it’s most natural position, allowing for muscles to relax. Both the iComfort and the Comforpedic do this well. This category is also a draw. iComfort advertises that their “MicroSupport” beads gather in areas that need extra support, like the small of your back. Comforpedic makes no such claim, they advertise increased support over the entire bed. Edge: iComfort. Due to the gel that both manufacturers blend into their memory foam, all of these mattresses will have a cooling effect, and will be cooler than other types of memory foam. In lab tests, Comforpedics have proven to dissipate heat 2.8 times faster than the competition, but the word “competition” is never defined by manufacturer. Therefore, we can’t be sure that iComfort was tested. Comforpedics also have ventilated edge support and mesh borders, which are designed to increase air flow. However, because of the I’m scoring this one as a draw. Both companies offer an in-home trial, Serta iComfort’s is 120 days, Comforpedic is 365 days. According to the Serta website, you can return the bed for a refund, less a 15% disposal fee, and a $200 return shipping and handling charge. These fees and charges are the same in the case of exchange also. 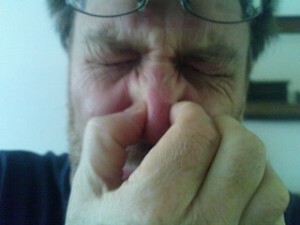 Comforpedic’s exchange has no fees, and in the case of www.drsnooze.com, we only charge the return shipping fee of $176. Comforpedic does not offer a return for refund program. Both companies mandate that you must sleep on the mattress for a minimum of 30 nights. Due to the lesser exchange fees, and the extended exchange period, I’m giving this round to: Comforpedic. Both manufacturer’s entire line-ups are adjustable bed friendly – this one’s a draw. Serta offers iComfort Directions, which is a sister line to the iComfort. These mattresses have latex layers in them, in addition to memory foam. Comforpedic does not offer latex in any of their mattresses. If you’re looking for latex and memory foam, iComfort wins this round. According to SleepLikeTheDead.com, 14% of iComfort owners state that the feel of their mattress at home is significantly different than the firmness that they felt on the floor sample in-store. There is no data on the site regarding Comforpedics, but I will tell you that I haven’t heard many complaints about different feels between home and store, definitely much less than 14%. Edge: Comforpedic. Again, according to SleepLikeTheDead.com, 81% of iComfort owners are satisfied with their purchase. 83% of Comforpedic customers are satisfied with their bed. While these numbers are close, Comforpedic wins this round. I did my best in trying to compare specifications and layers, but it’s difficult to find exact layers and densities of the iComfort beds. From the information that I found, I deciphered that “Renewal Redefined” by iComfort is closest to the Restored Spirits/Enlightened days”. Both of these beds in a queen size set are priced at $2499 by the manufacturer. 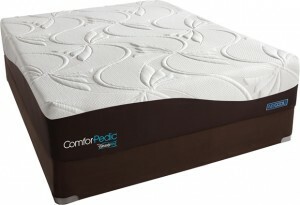 I also figured that the iComfort “Genius” is closest to the Comforpedic “Advanced Rest/Alive”. The Genius is listed in a queen set at $1599, while the Advanced Rest/Alive is listed in the same size at $1299. Serta’s iComfort line seems to be price regulated, as every site that I went on had the exact same pricing, with no available discounts. Comforpedic is not as stringent – some sites (ahem), run sales with discount codes, or gives a lower sale price when the item is added to the cart. For example, that Restored Spirits/Enlightened Days on www.drsnooze.com pops up in the cart at $2157.17. Due to the fact that even the regular price is better with Comforpedic, I’m giving them this round. So, really, they are pretty even in many ways. Overall, there were five draws, two votes for iComfort, and five for Comforpedic. Both mattress line-ups are similar, and I can honestly say that going with either one wouldn’t be a bad choice. The only factor that I didn’t evaluate was feel, since I don’t have an iComfort to sleep on. However, since this is such a personal decision, it’s probably better that I left that out. If you’re trying to decide between iComfort and Comforpedic, hopefully this comparision is helpful and informative. Let me know in the comments which one you chose! Why would you spend $1800 when you can get a cheap memory foam bed for $499? Good question. There are differences, and those differences might be important to you. Or, the $1301 might be more important. Here’s a comparison to help you out, just remember that this is generalized and each model differs. It’s cheap. And we all love cheap. Often, they are softer than the more expensive models. Not always, but generally. This is because they are made of less dense memory foam, which compresses easier. The downside? Less dense foam is also less durable. Some cheaper models (like our 10″ Gel Memory Foam Mattress) are starting to have gel mixed in with the memory foam, so you’ll sleep cooler. Yay! It lasts longer. Like a lot longer. Like twenty years, vs five for a bargain model. If you split up the cost by year, the expensive model may actually be less expensive in the long run than the cheaper model. Almost all models have gel. Gel helps you sleep cooler, which is super important when it comes to sleeping. No one can rest when they’re laying in a pool of their own sweat. Whether it’s infused in the foam, dispersed as little globs, or as a layer over the memory foam, gel is something that you should really look for, unless you’re freezing all the time. Foams are denser in more expensive models. What does this mean for you? They are a little firmer. They are way more durable. They give excellent support. They don’t get body impressions. They have a slower “sink”. Foams are often US made, instead of being imported. No offense to Chinese memory foams, but the quality control isn’t quite as good as here in the US. Additionally, the blends aren’t as uniform in feel. Many brands (such as Comforpedic) are CertiPUR-US certified. This means that they are non-toxic, don’t harm the environment, aren’t made with formaldehyde, heavy metals, etc. Also, less off-gassing. So choose your next memory foam be with an eye on what is going to benefit you the most: Do you want gel? How long do you need it to last? Do you want a firmer feel? Regardless of which model you purchase, know going in that a $499 bed is probably not going to perform like an $1800 bed is going to. However, if you’re on a budget, you’re better off buying that $499 cheap memory foam bed than a $499 innerspring. Even the least expensive memory foam is still going to provide better support than a comparably priced innerspring. So you want a memory foam vs innerspring showdown? I’m sure that you’re well aware of my intense love affair with memory foam, but is it for everyone? No, unfortunately not. I’ve had a few customers ask me which is better for them, and I must admit, sometimes its…gasp…not memory foam. So, to promote fair and balanced analysis, I’ve decided to step back from my pro-memory foam stance, and give you a list of pros and cons of each bedding medium. Objectively. I promise. Pro: There are a huge variety of different manufacturers, styles, feels, and price ranges. It’s virtually impossible not to find one that’s comfortable for you to sleep on. Con: Sleeping on metal creates pressure points. This means that no matter how much padding your bed has, it will still cause you to toss and turn, eventually. Pro: They are bouncy, making them easier to move around on, and better for other…ahem…bedroom activities. Con: Innerspring mattresses are more likely to sag, squeak, or creak. Pro: You can find comfortable models for cheap. Con: Innerspring mattresses lose their comfort level over time – it’s not going to feel the same in 5 years as it does now. Pro: There are many different manufacturers, with many different coil systems, designed for different levels of back support, weight, etc. Con: There are many different manufacturers, with many different coil systems, designed for different levels of back support, weight, etc. Totally confusing! Pro: The back support on a foam mattress is far superior to any innerspring, regardless of coil system or price. Con: The “sinky” feeling doesn’t appeal to some people. Pro: Memory foam provides excellent pressure relief, so you toss and turn 80% less, and they increase circulation. Con: If you don’t opt for a gel version, they can sleep warm. Pro: The density of the foam makes the bed last for about twice as long as innerspring without developing body impressions, sags, etc. No creaking or squeaking, either. Con: They can be difficult to move around on, and get off of. Pro: No dust mites, mildew, or mold. Additionally, many brands (like Comforpedic) certify their components, meaning that they are non-toxic and there’s no off-gassing. Con: They can be more expensive than innerspring, but they do last longer! Pro: You can’t feel your partner moving around. Con: The profile isn’t as high as many innerspring mattresses. If you’re a young person, and like the feel of memory foam, I say go for it. It will benefit your health and your wallet in the long run. If you’re an older person who may have arthritis or circulation problems, memory foam may be the better option. Just make sure that you can move around on it easily. Additionally, it can be used with an adjustable base down the road, if you need it! If memory foam is too hard to get out of, or it’s not comfortable for you, innerspring will work too! If you’re a person on a budget, innerspring may be the way to go. Less expensive memory foam is less dense and won’t last as long as comparably priced innerspring beds. They will also sleep hot. If you’re a couple who like different feels, try out a memory foam mattress. They are often the happy medium, since each partner is supported according to his or her weight. Additionally, you won’t get the hump in the middle of the bed, and won’t feel like you’re rolling into each other. If you like a bouncier feel, or sit on the edge of the bed a lot, innerspring is your option. The edge support is much better, and nothing bounces like a steel coil! Hopefully this helped you find decipher what is good and not so great about memory foam and innerspring. The last piece of advice that I have is to try them out. The feels are very different, and your body may prefer one over the other. If that is the case, go with whatever feels the best to you, and disregard the rest. However, if you’re indifferent, remember that memory foam offers superior support, durability, and value in the long run. Sorry, I just couldn’t resist!!! CURV Mattresses are Almost Here!!! A few weeks ago, I wrote a post about the new Simmons line-up of memory foam beds under $1000 called CURV, geared towards the “millennial generation”. Well, some new info has been released, and I think that you’re going to be really excited. Supremely Comfortable – they offer great pressure relief and conformance, for exceptional support and long lasting comfort. Cool Sleeping – the curved memory foam pattern allows for better airflow. Also, some models have gel infused memory foam for even cooler sleeping. Local – all CURV beds are made in the USA. They are pretty much the only ones making inexpensive memory foam beds in this country. Really. Certi-Pur Certified – just like with their Comforpedic line-up, all the components of these mattresses have been certified non-toxic. They are also low emission, make without ozone depleters, mercury, heavy metals, lead, formaldehyde, PBDEs, and phthalates. The production process won’t hurt the environment, and the beds won’t hurt you. Adjustable Ok – because you never know when you want to put your feet up! The Latest Thing – This is the start of the line-up – it’s an 8″ thick mattress with a firm feel. 1.5″ of 2lb CURV memory foam is layered over 1″ of Plush Comfort Foam, which sits on the 5.5″ SturdyCore. 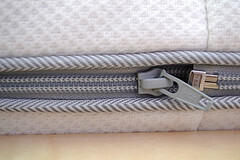 The entire mattress is wrapped in an “Integrated FR-Z Cover”, which is soft and breathable. At a price point of about $699 in a queen set, who couldn’t afford one of these? Put them in your kid’s rooms, your guest room, your master bedroom, make everyone comfortable! All The Rage – One step up from the Latest Thing, this is a 9″ Plush Firm, great for all types of sleepers. It has 2.5″ of 2.5lb CURV memory foam with gel, over a 6.5″ SturdyCore. Wrapped in the FR-Z cover, and this mattress feels soft and conforming. The price will let you sleep at night – it’s about $799 in a queen size set. Again, why wouldn’t you? Vogue – 10.5″ of memory foam bed, for under $1000! There is 1.5″ of 2.5lb CURV memory foam with gel, then 2.5″ of 3lb memory foam, over a 7″ SturdyCore. This mattress has a firmer feel, while still maintaining it’s conforming feel. A great option, it’s only about $999 in a queen set. Mattresses of this caliber by other manufacturers are usually made internationally, prone to sags, or are made by no-name manufacturers. Simmons CURV beds fill a need for everyone…now you can make sure that your guests, your kids, and that you yourself are comfortable and supported, all night long. Keep an eye out for these beds online, we’re getting them up and running as soon as possible! Memory Foam for Under $1000? Absolutely! Breaking News…Simmons is coming out with a quality memory foam line-up that will be less than $1000! A great night’s sleep has never been more affordable. Now, people on a limited budget can experience the same quality of sleep and support as everyone else. Cheaper memory foam products used to be hot, and of made of foams with questionable durability and density. Now, with a major brand offering memory foam in this price point, it will hopefully open a whole new competition of bedding from different manufacturers. 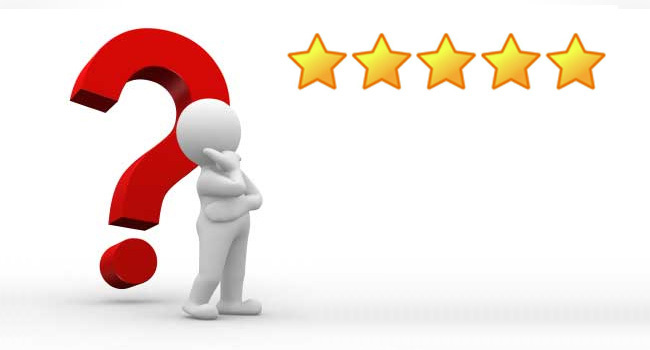 Competition between mattress makers means better quality, and better prices for the consumer! These new beds are made of specially designed memory foam, shaped in a curved pattern to support, soothe, and allow for air flow. Select models will have gel to cool and comfort. All models have 10-year warranties. Although the new CURV line is designed with the under 35 set in mind, I think that it’s a great option for all ages. The memory foam line-up was developed by the same people that developed Comforpedic, which we know that I’m in love with. I think that EVERYONE, regardless of their budget, should have the opportunity to sleep on a quality memory foam bed. I am so excited about the new CURV line-up, I can hardly stand it. They are rolling it out in Las Vegas next week, and hopefully it will be available in stores and online within a few months. Don’t worry, I will surely do a product test for you, with an in-depth review and comparison to similar products. I’ll keep you updated as more info comes out on the CURV memory foam brand. Thank you Simmons for stepping up to the plate and filling the void! Every few of years, a new innovation hits the mattress market. 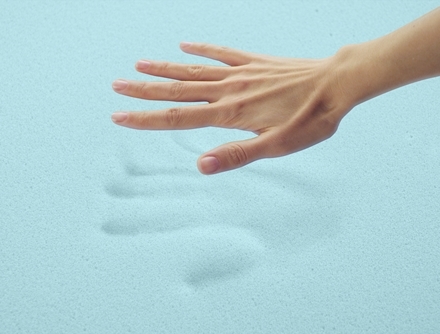 About ten years ago, memory foam was the new “it” thing. Then came beds that felt different on each side. Now, gel mattresses are popular. But what is gel, and what does it do? A new pillow with gel layered over memory foam. Coming soon! A simple online search brings up a lot of retailer websites with gel, as well as a lot of manufacturer websites with gel. What’s missing is real information about what benefits there are to gel, without the tint of a sales pitch. Ladies and gentlemen, that’s why I’m here. After finding little to no research about gel out there, I have searched my own brain to explain these gel beds to you. First, there are two types of gel mattresses. The first has the gel layered on top of the foam in the mattress. I have found that this type of mattress is cooler, usually firmer, but always more expensive. The other type is made of gel infused memory foam, with little globules of gel suspended throughout the foam. I have found that this type is usually less expensive, definitely cooler, and feels more like a regular memory foam mattress (it doesn’t change the feel of the bed). Just so everyone is clear, this gel is not the consistency of gel toothpaste, it’s much firmer. However, it is softer than the gel that is used in shoe insoles. The gel that is used in beds is like very firm Jell-O, but it’s also a bit elastic, so it doesn’t break apart easily. For the gel that is layered by itself in a mattress, it can be sticky if the membrane surrounding it is broken, but it will still maintain it’s shape. All gel is man-made, but it is non-toxic. There is no smell, no residue. The main reason why gel is advantageous is the temperature factor. Gel absorbs excess body heat and keeps it away from the body. It always feels cool to the touch, and can help with warm sleepers, women in menopause, or anyone who likes a cooler sleep. Gel is also very durable, and keeps its form even after prolonged compression. This feature makes gel mattresses a no-brainer. Is gel a fad, or is it here to stay? The number one complaint about memory foam is that it sleeps warm, and gel fixes that without drastically changing the feel, and with virtually no change to the support. The three factors turn a great night’s sleep into a horrible one are sound, light, and temperature. Gel could help many more people get a great night’s sleep. All Comforpedic products have AirCool Memory Foam with TruTemp gel. This is the type of gel mattress that has the gel suspended in the memory foam. Lab studies have shown that these mattresses dissipate heat 2.8x faster than the competition. 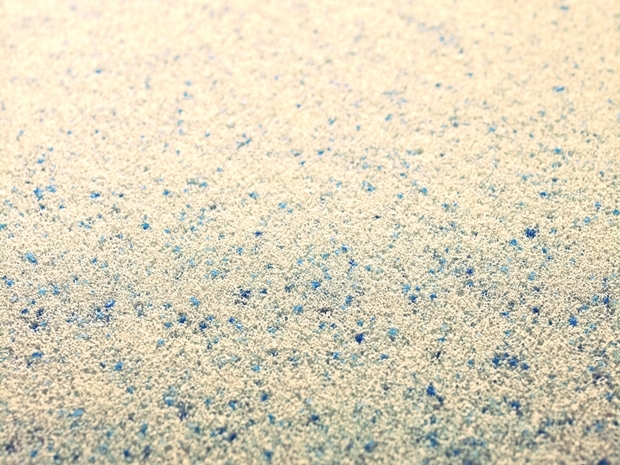 All Beautyrest Recharge and BeautySleep beds have GelTouch foam in them, which is a gel and polyurethane foam blend. All Beautyrest Recharge World Class beds have 1/2″ of actual TruTemp gel in the upholstery (not blended with memory foam, this is straight gel). In addition, the Dartmouth Drive and Trident Collections by Beautyrest Recharge World Class have AirCool Memory Foam with Micro GelTouch layers (this is a blended product). All iMattress models have iFusion Gel Memory Foam (this is a gel and memory foam blend). iMattress states that their proprietary blend makes the mattress easier to move around on, as well as cool to the touch. As we add more gel products, we will keep you updated. Try out one of our gel mattresses today, and experience some cooler, more comfortable sleep! Nowadays, there is so much emphasis on going “green” and returning to more natural ways of living. I’ll admit, it’s important to me too, and I buy organic produce and meats, prefer real sugar to sweeteners, and dress in all natural fibers like cotton and wool. We don’t use chemical cleaners in our home in favor of vinegar and citrus, and we’re looking into purchasing a hybrid vehicle. 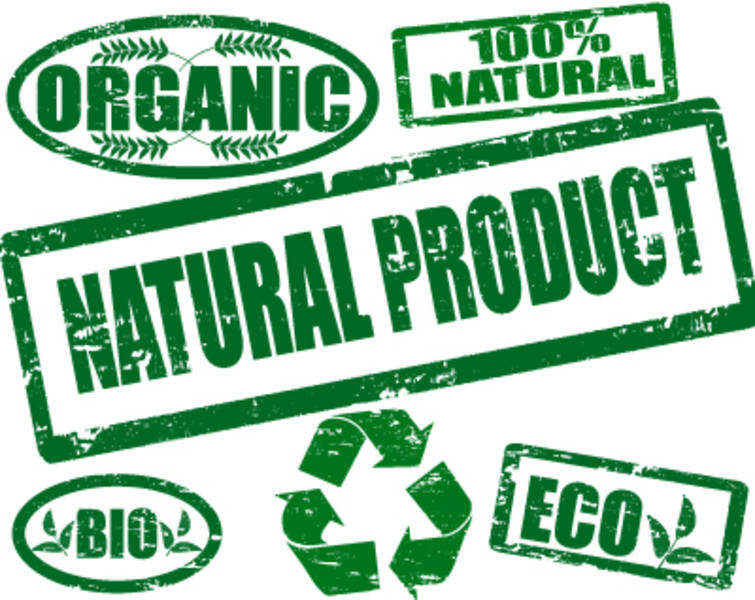 Usually, all this natural stuff can be significantly more expensive than the traditional man-made items. Do you need to spend $5,000 on a specially made organic mattress? Not when you can get a great latex mattress for less than you think. We have a variety of latex mattresses from Nature’s Way and King Koil Contour Response. These mattresses have no coils, they have a base foam instead, with layers of latex atop that base foam to add support and comfort. Within the King Koil Contour Response Collection, the Opulent and the Essence are all latex. They have a 7″ Dunlop (man-made) latex core, with Talalay (natural, as in from the tree) latex padding layers. 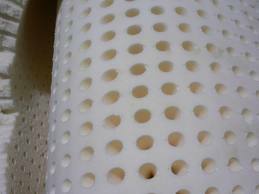 The Glorious, Harmonious, and Lavish have the same Dunlop core and Talalay padding, but they also have memory foam padding layers also, which is a man-made polyurethane foam. Some of our mattresses, such as the Renaissance Euro Box Top, have bamboo covers. Bamboo is soft, resilient, breathable, and renewable. If you don’t mind man-made, but don’t want all the toxic chemicals, Comforpedic may be your brand. Their entire line-up of memory foam beds are CertiPUR-US certified, which indicates that there are no toxic or questionable materials within their mattresses. They are also great because they last for so long (they have 25-year warranties), you won’t have to replace (and throw out) the mattress for almost twice as long as a regular bed. Concerned about polyurethane foams? There may be some off-gassing, it’s just part of the process. However, King Koil’s Everlast foam (which is in almost all of their beds) is 58% soy based, so it’s a more natural polyurethane than is offered by other brands. There are many options to try to rid your life of unhealthy chemicals and processes, and more are coming out every day. We will keep you updated as we get new “green” beds in.